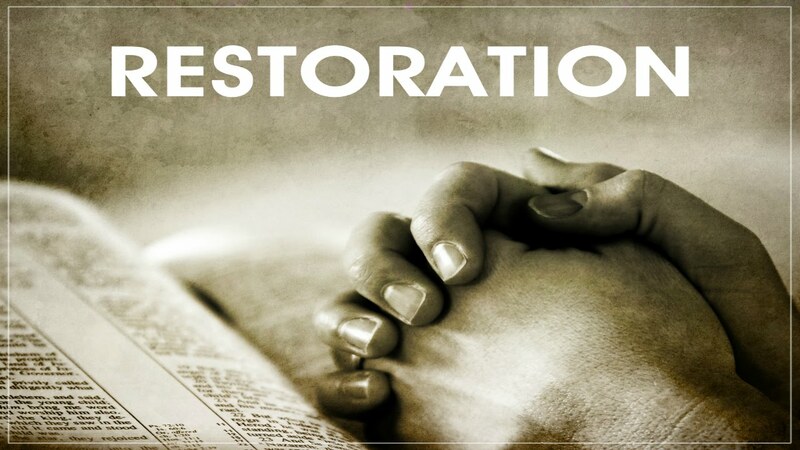 I will restore comforts onto you, says the LORD. Do not look back at the former things or allow your present difficulties to veer you off the path that I have enlightened for you. For the former things are passed away. What is ahead is NEW. The past will not interfere with what I create and where lead you. NEW IS NEW and I will not only do a new thing and create a brand new thing, but I will make you new. Look to Me in anticipation of the good that lies ahead. I will turn your sorrow into joy. I will give not only give you beauty in exchange for the ashes of your life, but I will make you beautiful. I will cause your heart to sing, as you are filled with comfort and joy. Relinquish the pain of the past. Forsake the fear of the future. Know that there is a newness that will spring forth in a fresh and living way. Your heart will rejoice and be glad in ME, says the LORD. Rejoice in Me now, says the LORD. For the joy that I give you in Me is your strength. Without My joy, you will be weakened. Lift up your head and be glad in Me, for I Am the Almighty GOD that is a can do GOD. Nothing is off the table. I will not leave you to own devices and you will not be the answer to your situations. Others will not be a remedy either. As you cast every care on Me, you will know that not only will I take care of you, but I will go further than that. I will give you more than enough. I will exceed your expectations as you lean on Me rather than what you see and hear and know and understand. For I do the miraculous and nothing can stop me. Nothing can dictate to Me and I Am not under the thumb of any. I want you under My shadow, not under a false authority. Shake free of the illegitimate and embrace Me and receive of ME. I will dictate the good and bring you into the NEW and unexplored that will be liberating, exhilarating and fulfilling, says the LORD. Look ahead! I know You will Lord! Amen! I receive it Lord.